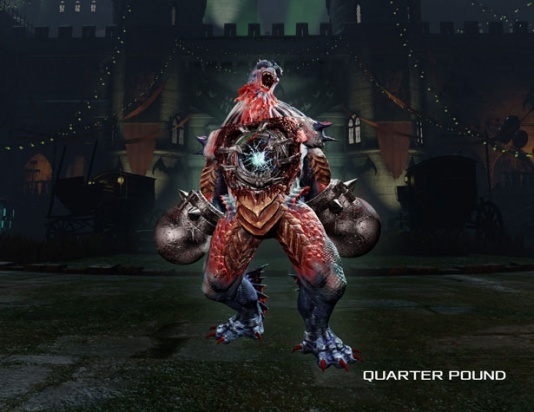 The Quarter Pounds are the smaller versions of the normal Fleshpounds that have less health and are slightly more vulnerable against various damage types. 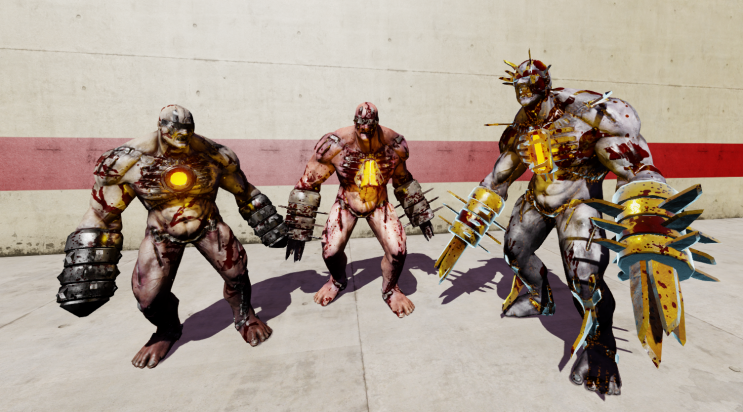 Originally made their first appearance in the Poundemonium weekly outbreak mode as a minions of King Fleshpound boss they were latter added into spawning pool of the normal Survival games. 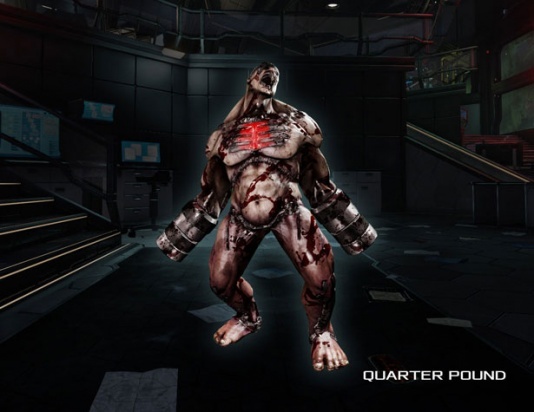 Quarter Pounds have significantly less health than any other Fleshpound variants, however their head-to-body HP ratio is rather huge. 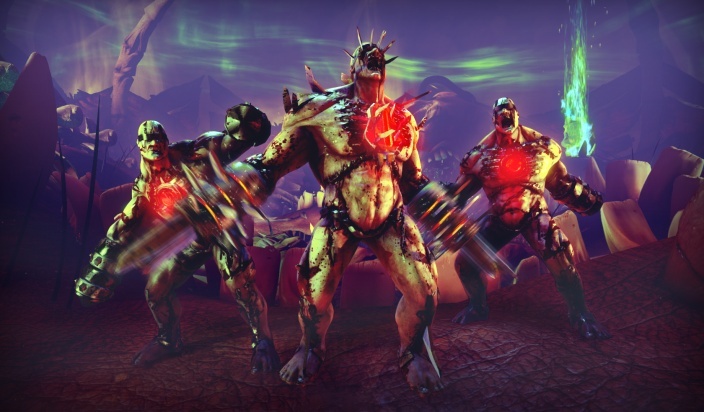 In 6 players Hell on Earth game their head health is 71% of their body health while for regular Fleshpound this value is only 32%. Quarter Pounds have 2 weak spots, which are the head and the glowing plate on their chest. Their arm grinders deflect attacks. Quarter Pounds are resistant to nearly all forms of the damage, however in a lesser amount than normal Fleshpounds. Quarter Pounds are neutral to the Explosive and Microwave damage types (with the exception of Helios Rifle which they are slightly resistant to). 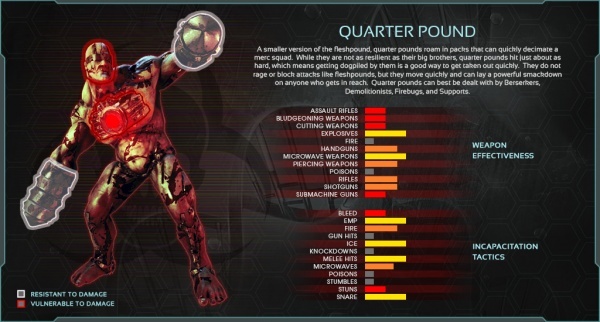 Quater Pounds using same set of attacks as a normal Fleshpound, however they do less base damage - 49 opposite to 55. Quarter Pounds are notably fast ZEDs capable of catching the players when both walks. 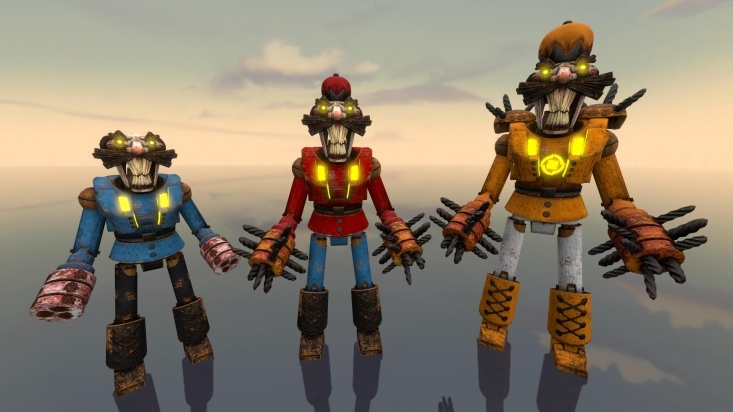 Unlike other Fleshpound variants, Quater Pounds do not cover their heads with the gauntlets when sprint. In fact they do not have metallic spikes on their hands at all.